The Christmas decorations have started to go up and the lights are on throughout London’s West End and this of course includes George Street. 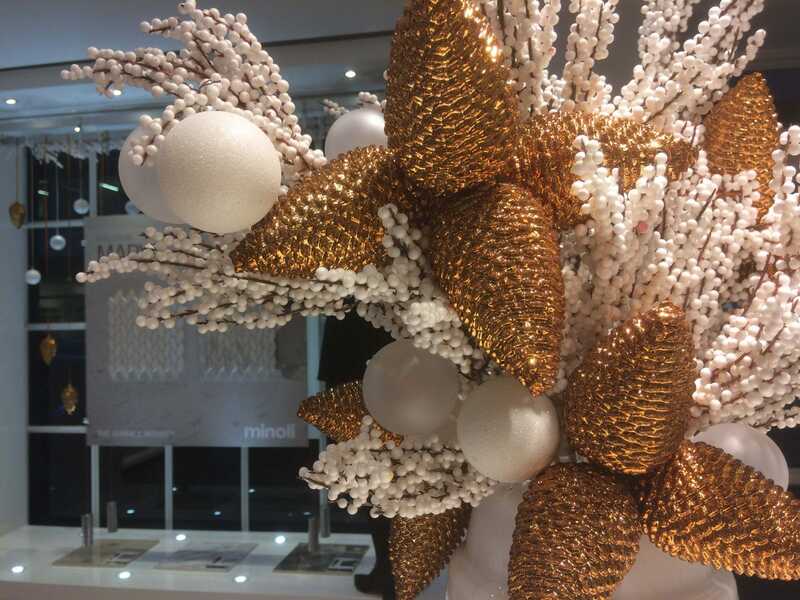 The Minoli London showroom decorations have this year been designed by award winning florist – Jane Packer. 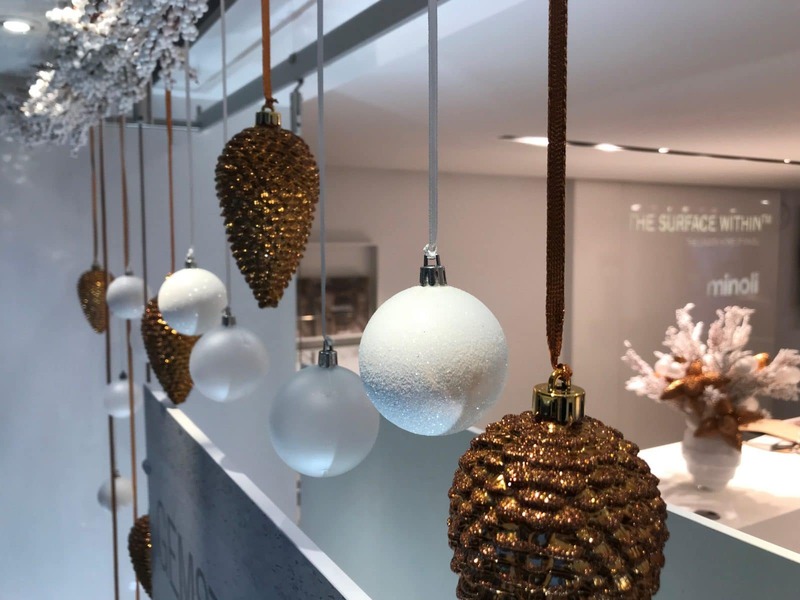 A truly beautiful festive display…..